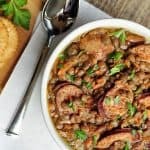 Slow Cooker White Bean Cajun Soup is a cozy crock pot recipe loaded with beans, andouille sausage, veggies, and a flavorful broth to warm you up! Not that I’m complaining, though. Because chilly temps mean that the hardworking A/C can finally take a break. And I can actually retire the flip flops for at least a week. And I’ll be totally justified in making a big crock pot of warm, cozy Cajun soup! 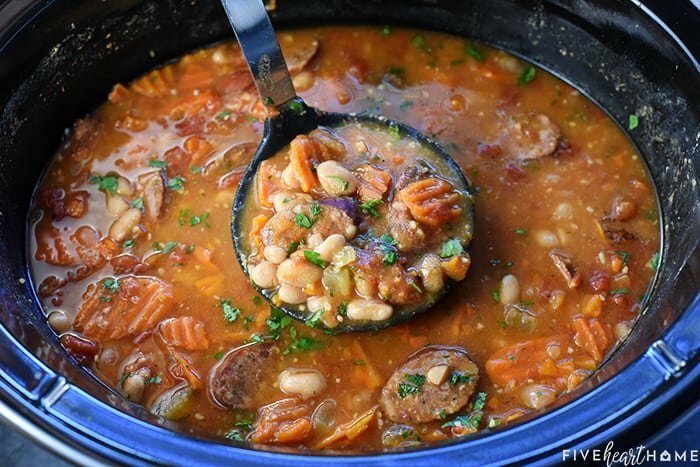 The best thing about this Slow Cooker White Bean Cajun Soup is that it’ll warm you up from the inside out. Yes, it’s nice and hot temperature-wise (as most soups tend to be). But it’s also got a zippy kick of Cajun spice from spicy seasonings and andouille sausage. As a result, you’re guaranteed to feel toasty warm from the tip of your tongue to the tips of your toes! Of course, you have the power to control the heat of this recipe. I initially made my crock pot o’ soup with some Creole seasoning and a medium-heat andouille sausage. This combo gave it a nice-but-not-overwhelming spiciness. AKA, my 6-year-old daughter was able to eat it without a problem. The rest of us, however, added Tabasco to our individual bowls, allowing everyone to customize the heat level to our individual preferences. 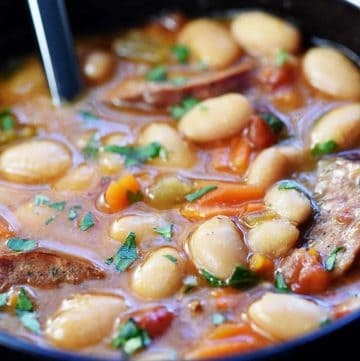 But aside from this soup’s Louisiana kick, Slow Cooker White Bean Cajun Soup wouldn’t be what it is without the beans. I used dried great northern beans, but navy beans would work just dandily as well. 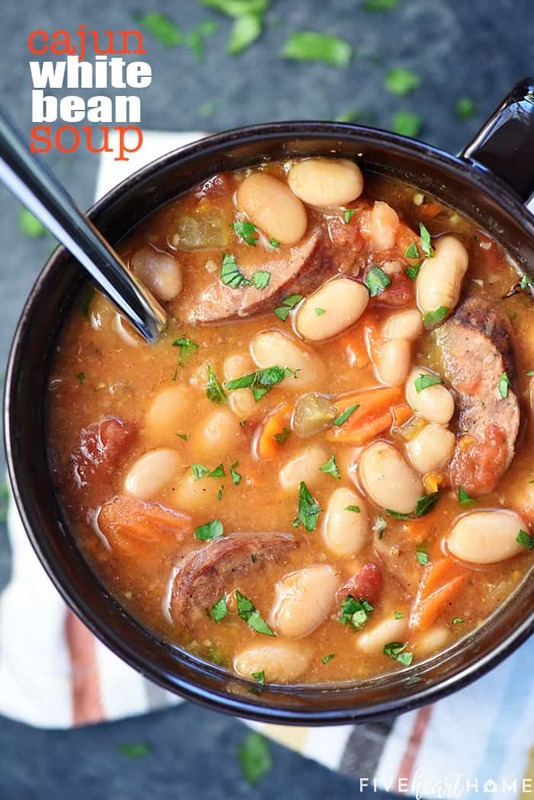 In addition to creamy white beans and zesty andouille sausage, this soup is also loaded with veggies. Namely, garlic, carrots, celery, and fire-roasted diced tomatoes. And after cooking on low all day, each of the ingredients is tender in a perfectly seasoned broth. Just before serving, I decided to use an immersion blender to puree some of the soup for a thick, creamy consistency. Since I cooked my sausage directly in my soup, I scooped about 3 cups of beans/carrots/broth into another bowl. Then I pureed that with my immersion blender until smooth and poured it back into the crock pot. That way I avoided accidentally shredding any of my sausage. 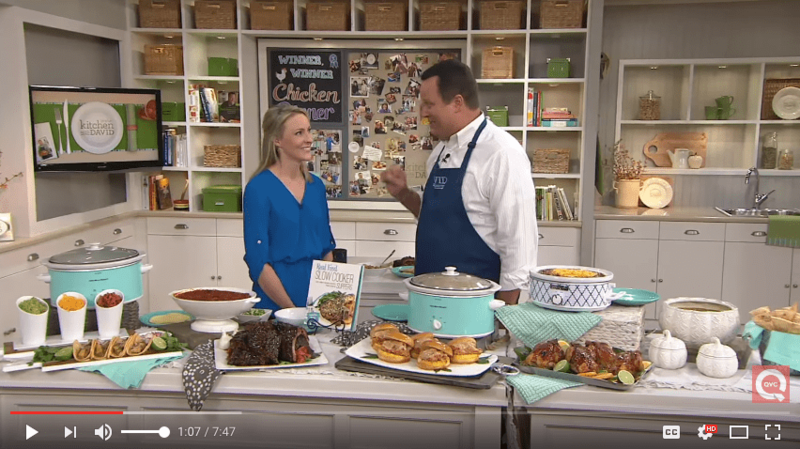 When making slow cooker recipes, please keep in mind that not all slow cookers are created equal. What I mean by that is older models of slow cookers really do cook slow. Newer, modern-day slow cookers, however, have a higher wattage. As a result, they run “hotter” than they used to in order to meet current USDA food safety guidelines. Therefore, you need to be familiar with how your slow cooker cooks. And, if necessary, adjust the cooking time of slow cooker recipes accordingly. 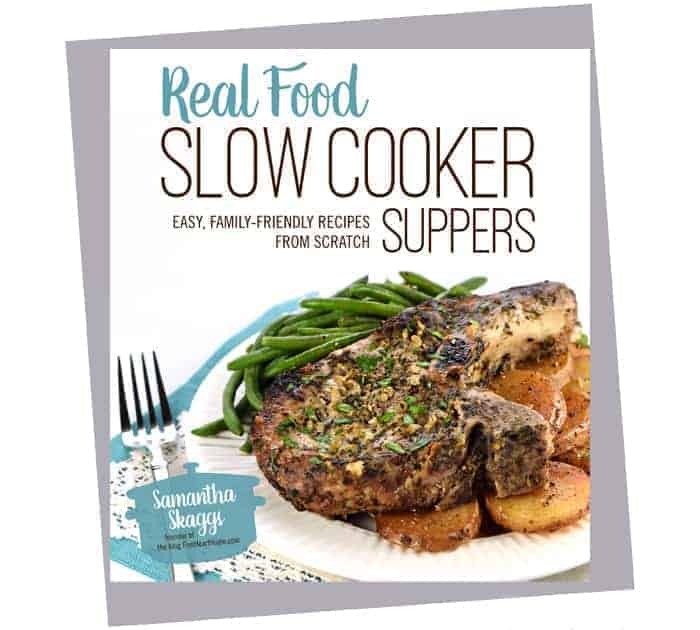 Of the four different slow cookers that I own (and after using them to write an entire slow cooker cookbook), my favorite model of current slow cookers is this one. I love that it doesn’t get as hot as my other newer-model slow cookers. It still runs hotter than my trusty 15-year-old slow cooker, mind you. On the other hand, it’s not boiling after an hour like one of the other new/modern slow cookers that I own. 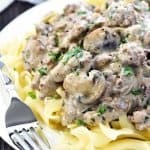 In fact, out of all of my slow cookers, it gives the most consistent results and is the least likely to burn or overcook. 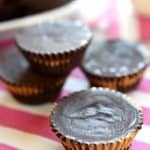 I recommend using Great Northern or navy beans for this recipe. 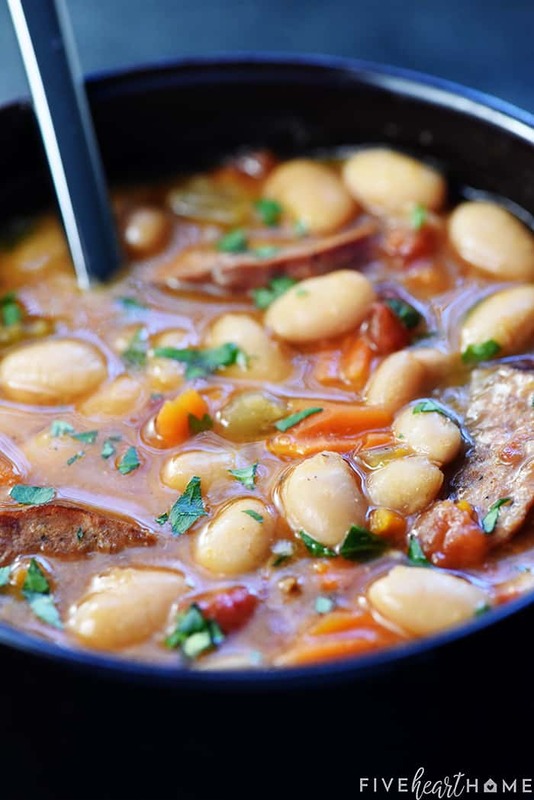 Cannellini beans would taste good in this soup as well. But cannellini beans (also known as white kidney beans) contain a high level of a naturally occurring toxin called phytohaemagglutinin (say that ten times real fast…or real slow). And phytohaemagglutinin can cause severe food poisoning. White kidney beans contain far less of this toxin than red kidney beans. However, it’s still necessary to bring any dried kidney beans to a rolling boil for 10 minutes in order to remove this toxin and make them safe to eat. 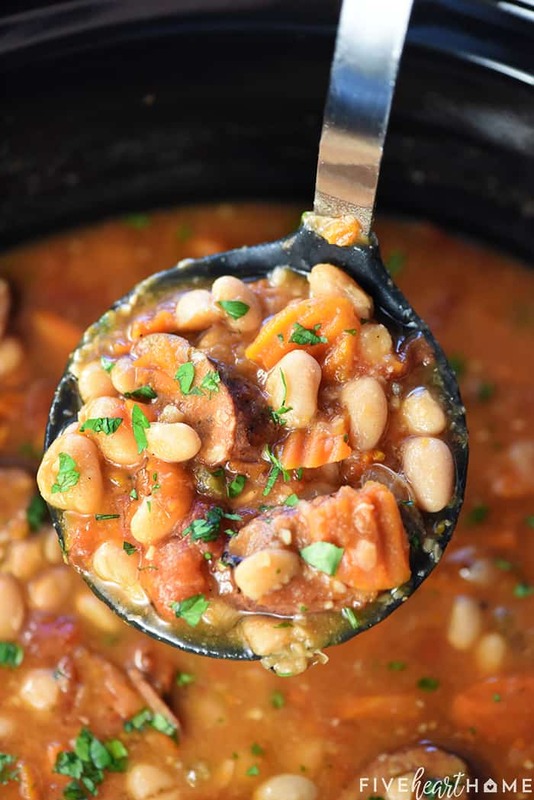 Since some slow cookers run cooler than others, the only way to guarantee safe cannellini/kidney beans is to boil them on the stove before draining and transferring the beans to the slow cooker. So for a recipe like this, I think it’s just easier to use Great Northern or navy beans from the get-go. I never soak my beans (partially because I’m lazy and partially because I don’t feel like it makes a difference). But if you’re a loyal bean soaker, feel free to soak and drain your dried beans before proceeding with the recipe. When I don’t have chicken broth or stock on hand, I use water plus Organic Better Than Bouillon Chicken Base (which I always keep in my fridge). But since it’s salty, I taste the recipe and stir in additional salt at the end, only if needed. This gives more control than adding a pre-measured amount of salt while the dish is cooking. Carrots can be shredded, sliced, or diced. To save time in this batch, I used half a bag of organic “carrot chips” from Whole Foods. I always recommend fire-roasted over regular diced tomatoes for deeper flavor in slow cooker recipes. I also recommend looking for cans with non-BPA linings (or even glass jars). Tomatoes are very acidic, meaning that any chemicals in the lining of the can are more likely to leach into a tomato product. Luckily, it’s getting much easier these days to find canned goods with BPA-free linings. You may use smoked sausage instead of andouille, if you wish. For efficiency’s sake, I add the sausage to the soup at the beginning of the recipe. However, this does result in softer slices by the end of the cooking time. So if your prefer a firmer texture, you can brown the sausage slices in a pan and stir them into the soup just before serving. Feel free to adjust the ingredients in this soup to your liking. If you don’t like celery, leave it out. If you enjoy onion, add some in. I highly, highly recommend investing in an immersion blender if you don’t already have one. They’re pretty affordable and very handy. 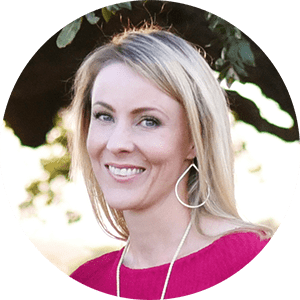 I use mine all the time…for instance, in this soup and this soup and this soup and a bunch of other recipes in my cookbook. Much easier and less messy than transferring soup to a blender or food processor to puree! 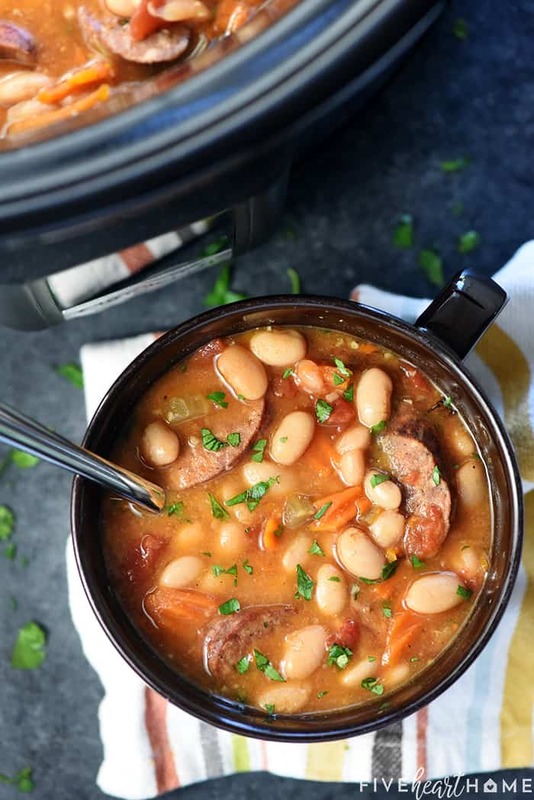 Slow Cooker White Bean Cajun Soup is a cozy crock pot recipe loaded with beans, andouille sausage, veggies, and a flavorful broth that's sure to warm you up! 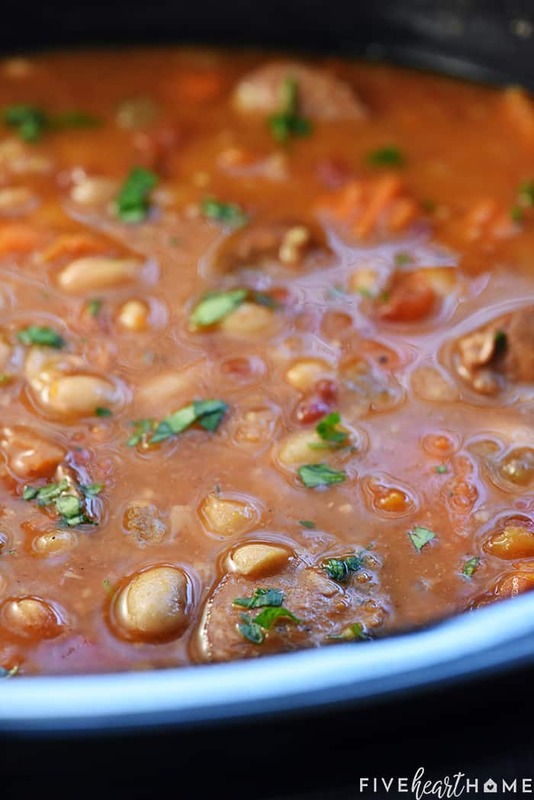 Rinse and drain the beans and place them in the bottom of a large (7- to 8-quart) slow cooker. Add the sausage, carrots, celery, tomatoes, and garlic on top. Carefully pour the chicken broth over the ingredients in the slow cooker, and then sprinkle with the Creole seasoning, smoked paprika, and black pepper. Cover and cook on low for 8 to 10 hours or until the beans are tender. Use a ladle to scoop about 3 cups of soup (without sausage) into a separate bowl and use an immersion blender to puree until smooth (or use a potato masher to mash). Stir the pureed soup back into the slow cooker. 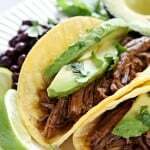 Adjust the seasonings to taste, adding additional Creole seasoning if desired or adding hot pepper sauce or cayenne for heat (to the entire slow cooker or to individual bowls). I love anything with Cajun flavors! This soup sounds wonderful and the photos are beautiful. I’m in Texas too and so happy for cooler temps! I will definitely be making this soup this weekend. Thanks so much for sharing! Samantha – I made this tonight and it was delicious! Hubby loves bean soups so I thought I’d try it. I added a bit more cajun seasoning because he likes a stronger cajun flavor. Best part was that it was very easy to make. I’ll be making this again for sure. Do you have to purée some of it and add it back in?